Line Up/ Support: Margo, Pj Murrihy, Trudi Lawlor, Patrick O Sullivan, Keelan, MC Dermot Moriarty. Margo - with special Guests - Pj Murrihy, Trudi Lawlor, Patrick O Sullivan, Keelan and MC Dermot Moriarty. 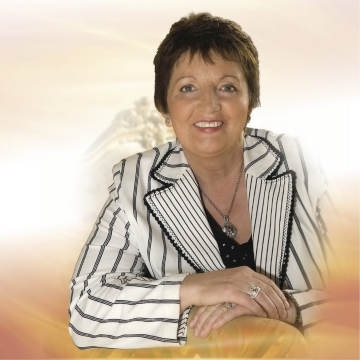 Irish singer Margo rose to prominence during the 1960s in the Irish country music scene and has had an extensive career since. Margo started performing country music at a very young age in 1964 with a local showband, The Keynotes. Margo recorded her first single in 1968, "Bonny Irish Boy/Dear God", which was a success as was her second single, "If I Could See the World Through the Eyes of a Child/Road By the River", released in 1969 cemented her newfound stardom with fans. Margo has been a successful singer for five decades and has sold more than 1,000,000 records to date, and performed with Johnny Cash, Loretta Lynn and Dolly Parton. She presented numerous TV shows for RTÉ in the 1970s and has collected many awards during her long career.